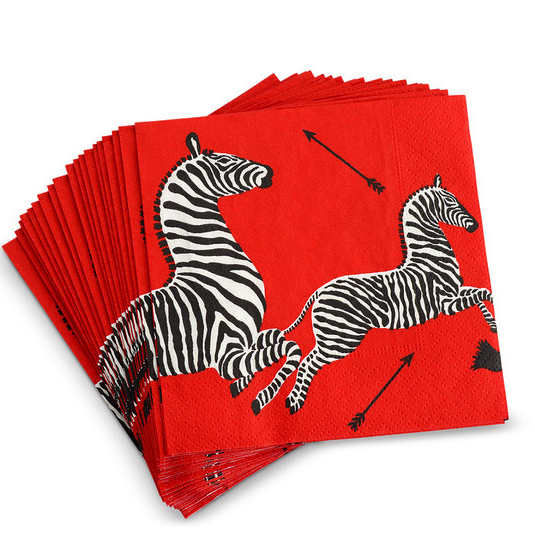 These Red Zebra Cocktail Napkins feature the iconic Scalamandre Zebra’s that will look super chic on your bar cart for those holiday parties. Try adding a lucite cocktail napkin holder to store them in style. $12. Buy here.